Slammy Award for Holy $#!+ Move of the Year (2010) – Sends Batista through the stage with an Attitude Adjustment. 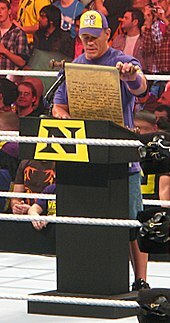 Slammy Award for Insult of the Year (2012) - To Dolph Ziggler & Vickie Guerrero: "You're the exact opposite. One enjoys eating a lot of nuts and the other is still trying to find his."